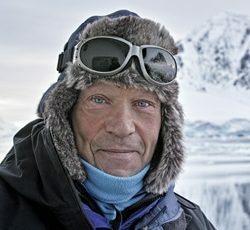 Robert Swan OBE is the first person in the world to have walked to both the North and South Poles and his extraordinary experiences, vision and talent for communication make him a highly inspirational speaker. Robert Swan OBE is the world’s first person to walk to both the North and South Poles, earning a place alongside the greatest explorers in history. His 900-mile journey to the South Pole, ‘In the Footsteps of Scott,’ is the longest unassisted walk ever made on earth. During his expeditions, Robert Swan experienced firsthand the effects of global warming at both Poles. In Antarctica, his eyes permanently changed colour due to prolonged UV exposure under the hole in the ozone layer; in the Arctic, his team survived near-death encounters in a prematurely melting ocean, far from land and help. Robert’s experiences on these expeditions helped shape his life goal: to ensure the preservation of Antarctica, the Earth’s last great wilderness. He founded the 2041 Foundation, an organisation dedicated to this goal and whose initiatives include partnership since the early 1990s with the United Nations World Summit for Sustainable Development and a wide range of global and local environmental missions to inspire youth around the world to become sustainable leaders. Since 2003, Robert Swan has led annual expeditions to Antarctica with students and business executives to heighten awareness of the Antarctic and build advocacy to ensure its survival – and his teams have also helped design and build the world’s first Antarctic renewable energy education station. Robert Swan has served as a Special Envoy to the UNESCO Director General and as a UN Goodwill Ambassador for Youth. 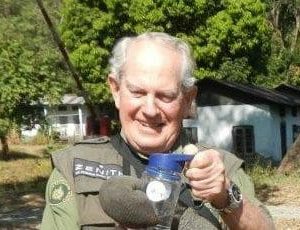 In recognition of his work, he was awarded an OBE and the Polar Medal. Robert Swan is a true visionary and an exceptionally gifted communicator with an uncanny ability to motivate those around him. As an inspirational speaker, Robert applies the leadership lessons he has learned in some of the world’s most hostile environments to inspire bold management practices and effective communication styles. Inspiration – Robert has shown through his expeditions to both Poles that individuals have the power to overcome obstacles and achieve their goals – whatever these may be – through perseverance, determination and commitment. Leadership – Robert highlights how great feats are rarely achieved by individuals in isolation; more often, it is a team effort. Robert emphasizes the importance of strategic decision making. Sustainability – As an environmental leader, Robert takes climate change and the protection of Antarctica as the burning platform. Robert engages audiences on what it takes to be the leader and predecessor in creating new models and sustainable solutions for the future.